Based on the performance in the entrance tests and the marks scored in the concerned qualifying exams the candidates will be allotted with the seat. The candidate has to register on the institute website to get the application. For MBA candidates, the institute conducts a group discussion or personal interview. Candidates have to avail the seat through a valid score in the AP EAMCET 2019 entrance exam. TS-EAMCET is test specifically conducted for the applicants of Telangana. Candidate can also get admission by Management quota. The candidate has followed certain criteria to get admission in VRSEC Vijayawada. 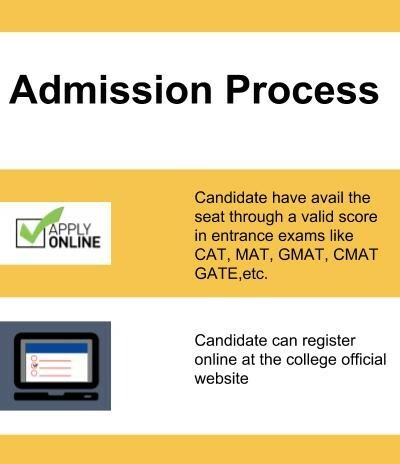 Applicant should avail a valid score in CAT, GMAT, MAT, CMAT etc to get the admission to the college. Candidate can also take up the AP ICET 2019 entrance exams conducted by the state and avail a seat in the institution. Applicant should have the eligibility for the course for admission to the college. They can approach the Institution for the application form or can register online at the official website. They should have eligibility for the course for admission to the college. All the candidates should first appear in the prescribed GATE entrance exam and should have a valid score. The candidates must have completed Bachelor's degree in Science or Engineering discipline in the concerned fields with respect to the PG course obtained through a minimum of 10+2+3 years or equivalent qualification with a minimum of 50% aggregate marks from any institute recognized by AICTE. Candidate must have cleared 10+2 exam conducted by the Central Board of Secondary Education (CBSE) / Higher Secondary Examination (HSE) or any of its state equivalents with a minimum of 50% aggregate marks along with Physics, Chemistry, and Mathematics as mandatory subjects from any recognized University / Institution for VRSEC Vijayawada admissions 2019. Entrance exam I did is my Poly-CET exam and E-CET exam ever made to choose a better college in my district. And another question typical cutoffs in my course is we have submiting the home assignments by a real-time exams so we have cutoffs marks to my courses in Velagapudi Ramakrishna Siddhartha Engineering College. You can get an admission into our college through EAMCET with a minimum of below INR 10000 rank and 30000 ranks for reservation category. I got admission through EAMCET in CSE branch. Eligibility for joining B-tech course at VRSEC a candidate has to complete inter qualification. Entrance examination to join btech course is Eamcet . Cutoffs for my course mechanical : candidates belonging to General 9700,obc 11500, sc 45000 st may be 90000 or 1lakh ..
To get admission in this college, the candidate must clear the AP EAMCET exam and must have passed the 12th from a recognized institute. The cutoff rank must be below 35,000 for OC, 45,000 for BC and 90,000 for SC/ST. To get admission in this college, the candidate must clear the AP EAMCET exam and must have passed the 12th from a recognized institute. The cutoff ran must be below 1,500. The eligibility criteria is to score 80% or above in 12th-grade. The entrance exam required to give to get admissions is AP EAMCET. 1) Admissions in B. Tech are based on state wide competitive exam( EAMCET). 2) Admissions are done by counseling of the candidates, based on their performance in EAMCET. Must secure good rank in Pgecet and gate. eligibility criteria are based on EAMCET marks and admission procedure is completely through counseling. EAMCET is the entrance exam. It's one of the colleges around Andhra Pradesh.It is in outskirts of the city where we can get a clean and peaceful environment. Without any entrance exam also you will get admission, there were no such eligibility criteria. Class 12th is the eligibility criteria for AP EAMCET examination and I took this. The entrance exam to be taken to get admissions is AP EAMCET.